We hate to say it, but the stress may not have stopped at ridding your home and roof from pests. Glendale Arizona homeowners face a ton of challenges, from general maintenance made even more difficult because of the heat to hard to remove roof pests, our dry desert heat and scorching temperatures are stressful to say the least. Many of our customers find themselves dealing with roof pests such as roof rats, bats, birds, mice, squirrels, bees or wasps throughout the year. Regardless of the time or weather, Glendale roof repair after such an instance as exterminating roof pests needs to be done with care, caution and skill in order to make sure that the roof is protecting the home properly and the people and pets inside. After all, that is the most important goal! Damage caused by roof pests and their removal can be fixed, and in most instances you as a homeowner would not even know that you had a pest problem in the first case. These common roof pests can wreak havoc on a roof, from chewing through wires attached to air conditioning units and other electric wires to burrowing and building full nests or dens within the structure of your roofs shingles or inner barrier. A Glendale AZ roofing contractor will be able to repair any damage from roof pests and put your house back to new. There is a ton of different roofs. That is true, but most roof contractors are skilled in all types of Arizona roof repair. Whether you have shingles, wood, foam roofing material or a recycled roof, a roofing contractor can get your home back to normal. To repair a Glendale shingled roof that has been damaged or in need of repair from a pest problem, all shingles that were affected by the pest should be removed and replaced to ensure that any debris or worse, pest feces or urine, is no longer affecting your roof’s structure. If any drywall was affected your roofing contractor will make sure to remove any damaged drywall, and this goes for any material – even foam roofing. Starting over with new material is a guaranteed way to make sure the pests are gone for good and that there is not any potentially hazardous material that will affect the health of the people within the home. Glendale Foam roofs are fairly easy to repair, as professionals are able to cut out the damaged foam and simply spray in new foam roofing material that will expand and match the roof that exists. Asphalt shingles are similar, needing a thorough cleaning and to remove the shingles that are unable to be saved from damage. Regardless, repairing a roof after pest damage is important for the structural integrity and safety of all involved. If you are dealing with a fairly new roof, one that is essentially sound with a few weakened spots caused by a pest problem, permanent repairs can reverse the damage. An older roof, or one that may show general wear and tear prior to the pest problem and extermination may be an indicator that a reroof, or in the case of a foam roof – a re-seal, is a necessity. In some instances that a reroof is decided as the best option due to damage but cannot get a reroof done immediately, Arizona roofing contractors suggest to cover any large holes due to gnawing or damage with plywood or plastic sheets to prevent any further destruction and start planning a reroofing with your roofing professional. Damage that is this far gone should not be done at home, as an incorrect roof repair can lead to more stress than the pests had caused. Luckily, most of the time just placing the shingles or resealing a foam roof will do the trick and prevent any unwanted pest from reentering. 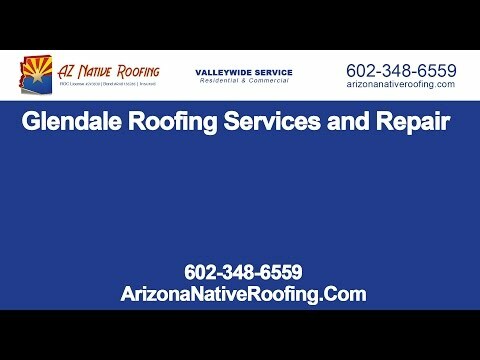 Arizona Native Roofing is a locally owned and operated family business serving the Phoenix Valley. From Scottsdale to Mesa, our roofing contractors have at least 12 years experience in the field and care about the work they do. We understand that no one wants to deal with roof pests or have to suffer the consequences of the damage they cause, which is why we are dedicated to helping homeowners get their roofs (and lives) back to normal. We specialize in all forms of roofing, including shingles, tiles, foam and special roof coverings.